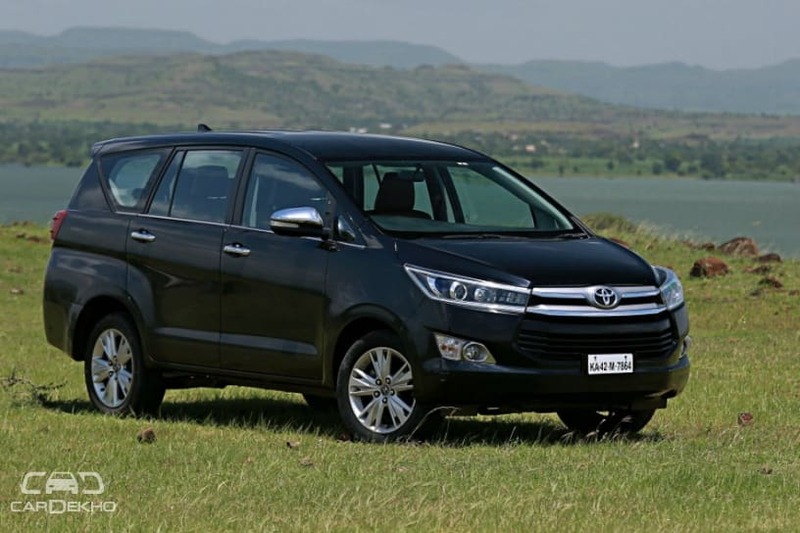 Until now there has been one premium MPV ruling the segment and that is Toyota Innova. With no direct competition, it’s been a Toyota saga. Though there are a few MPVs smaller in size and price but none able to challenge the heroic stand of the Japanese MPV. However, with Kia coming to India, it’s likely that it will introduce the Carnival MPV in the Indian market. With it joining the game, Toyota would face severe competition from the South Korean manufacturer. Also known as Sedona, will the Carnival be able to offer sleepless nights to the Japanese automaker? Let’s find out in our spec sheet comparison of the two most promising MPVs available in the global market. 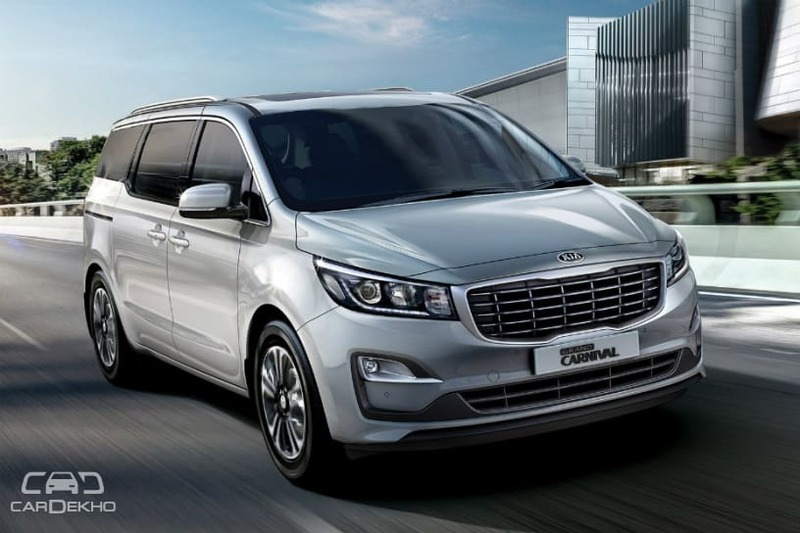 Starting off with the size, the global-spec Kia Carnival measures 5,115mm in length, 1,985mm in width, and 1,740mm in height, making it longer and wider by 380mm and 155mm respectively than the current champion Innova Crysta. 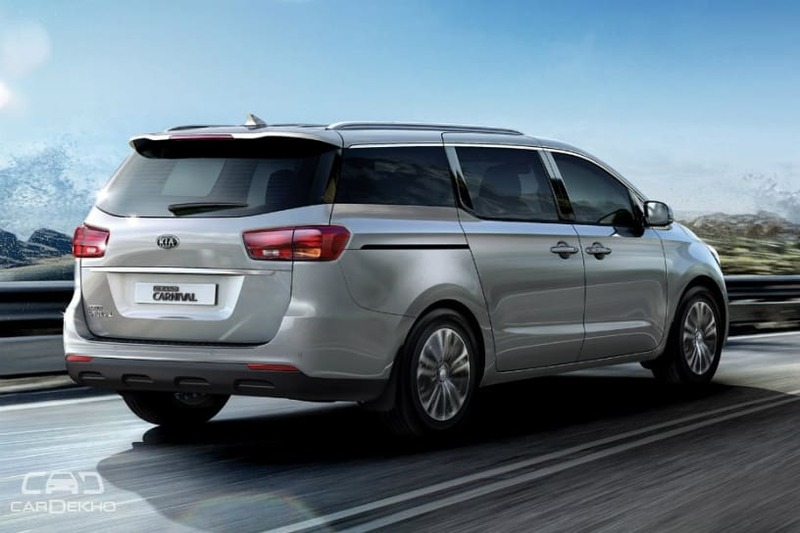 The Kia Carnival comes with an extended wheelbase of 3060mm which is 310mm longer than what Innova has. 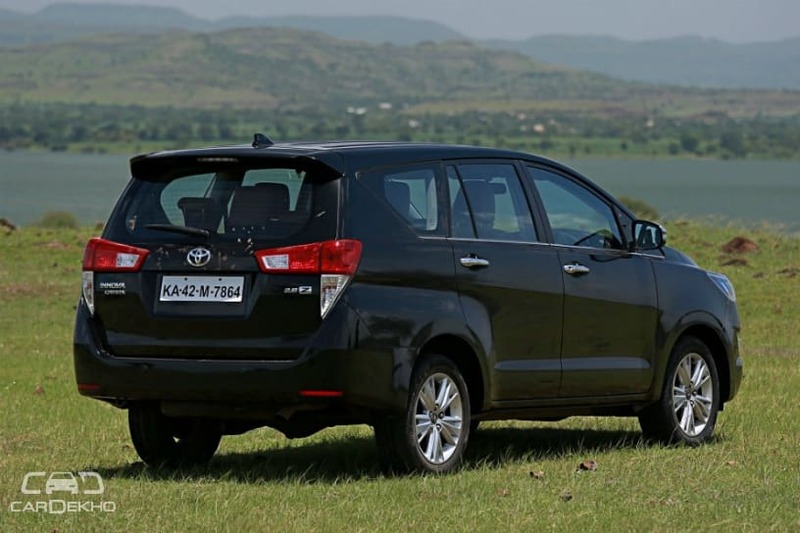 There is a significant difference in measurements between the two, hence expect the Carnival to offer a more spacious feel than the Innova Crysta. Built-wise, the Innova is a body-on-frame type MPV whereas the Carnival comes with monocoque construction. This implies that the latter will be capable of offering better and improved car-like driving experience than the former. Both MPVs come with petrol and diesel engine choices. Comparing the petrol options, the Carnival houses V6 3.3-litre under the hood that produces 104 PS of more power and 73 Nm of more torque than the Innova’s 2.7-litre four-cylinder engine. More power means the Carnival would be less fuel efficient than the Innova. The Innova Crysta can travel extra kms and be even more fuel efficient than the Carnival due to the option of a manual gearbox. Talking about the diesel variants, the Carnival comes with a smaller engine displacement as compared to both diesel versions of the Innova. Despite this, the Carnival pumps out more power and is torquier than the Innova. We are expecting Kia to launch this variant ahead of petrol one in an attempt to dethrone the present king. Also, Kia’s automatic gearbox aids in producing better economy numbers than the automatic transmission fitted on the diesel Innova Crysta. Both MPVs come with standard features like auto air conditioning, split-folding third-row seats, captain second-row seats, cruise control and power adjustable driver’s seat. The Innova gets 8-way power adjustable option for driver seat and slide adjustable for second row seats, while Kia offers 12-way power adjustable driver seat and 8-way power adjustment for the passenger seated in the front row, not to forget both the front row seats are ventilated and come with memory function too. 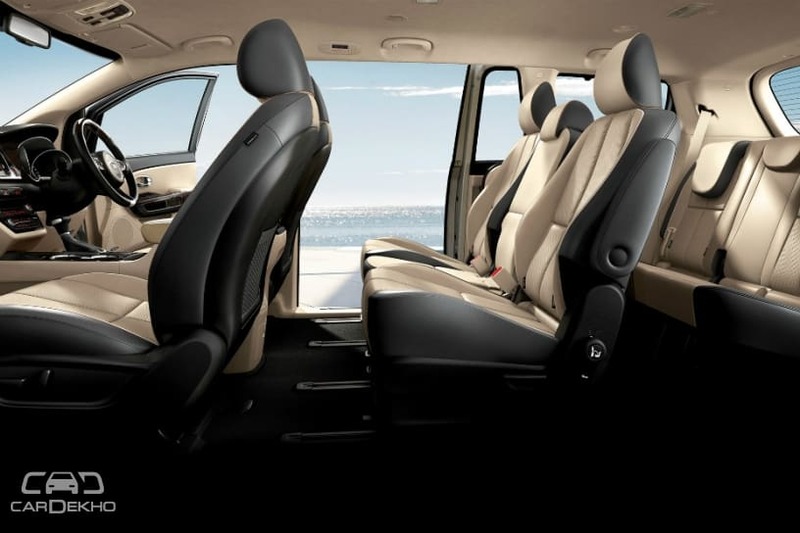 There are plenty of comforting features that the two MPVs come with. The list starts with features like tilt and telescopic steering wheel, auto AC controls for front and rear occupants, cup holders, cooled glovebox, plenty of cubby holes, slide-open trays and different driving modes. On top of this, Kia offers 3-zone climate control, dual sunroof and electrically sliding doors, which come in quite handy if you park your car in a tight space. On the contrary, Innova neither come with sliding entrances nor the sunroof. The Innova comes with a 7-inch infotainment system with touchscreen and a TFT multi-info instrument cluster. The Carnival comes with an 8-inch touchscreen infotainment system with Android Auto and Apple CarPlay. A 3.5-inch display in the instrument cluster between the two analog dials comes as standard on the Carnival that can, however, be replaced with a 7-inch LCD screen on request. Safety-wise, both MPVs come with ABS with EBD, electronic stability control, hill start control, and rear parking cameras. In some markets, Kia Carnival also gets an optional around-view monitor system with four cameras. 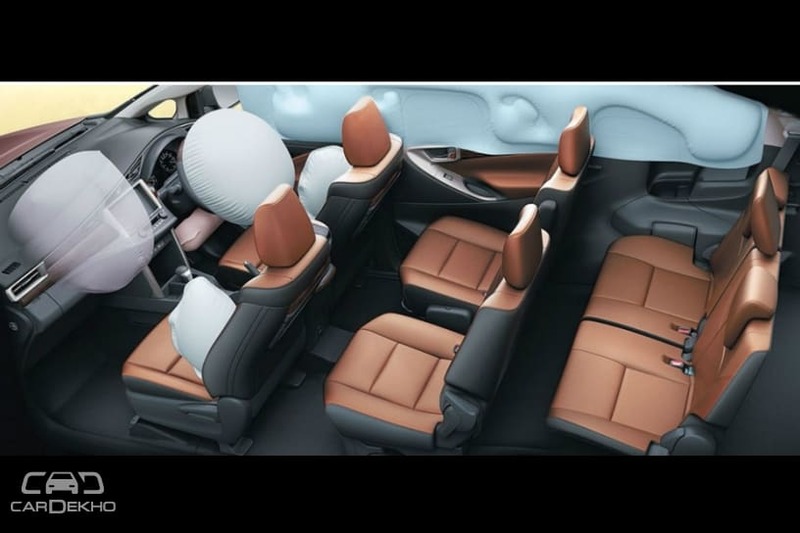 While the Innova gets up to 7 airbags, the Carnival is benefitted from up to 8. Kia Carnival also gets assistance systems like lane-change assist, rear cross-traffic alert and blind-spot detection. Additionally, in some international auto markets, the Carnival gets adaptive cruise control instead of the manual one. With no direct rivals in India, the Toyota Innova Crysta retails in the price bracket of Rs 14.83 lakh to 22.19 lakh (ex-showroom Delhi). 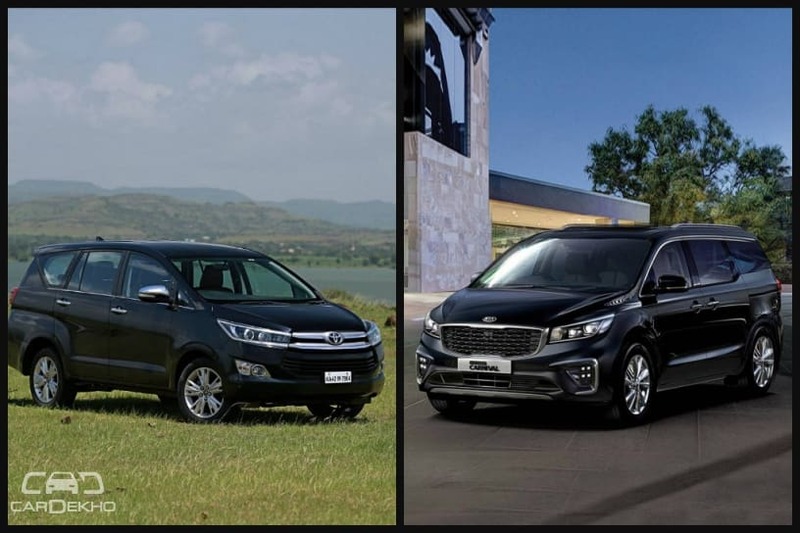 As far as Kia Carnival is concerned, we expect it to sport a price tag of around Rs 20 lakh, competing only against the top-spec Innova Crysta variants.